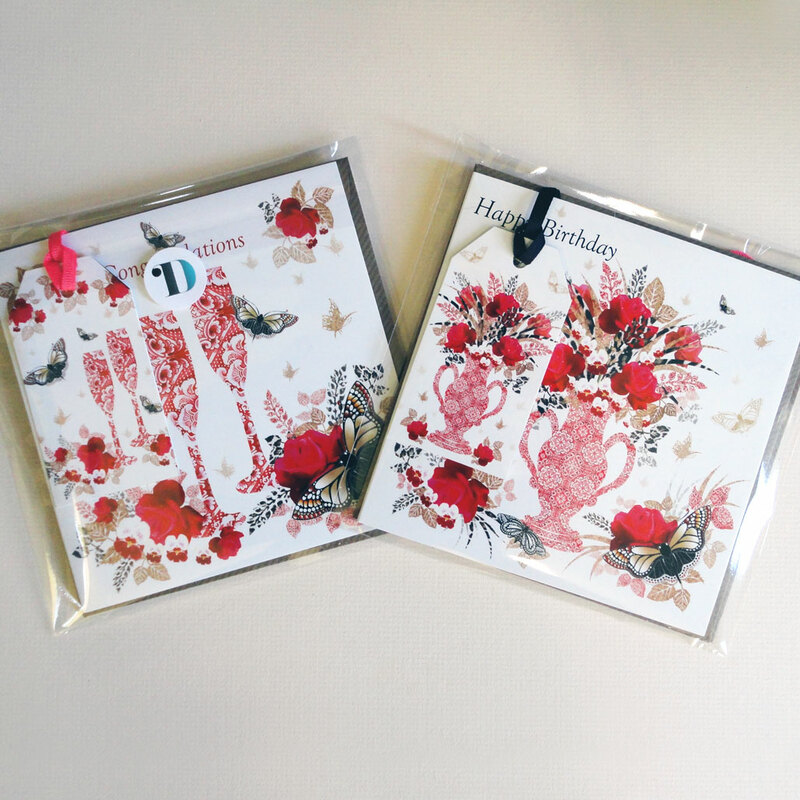 This perfect Happy Birthday and Congratulations duo pack is perfect for any special occasion. 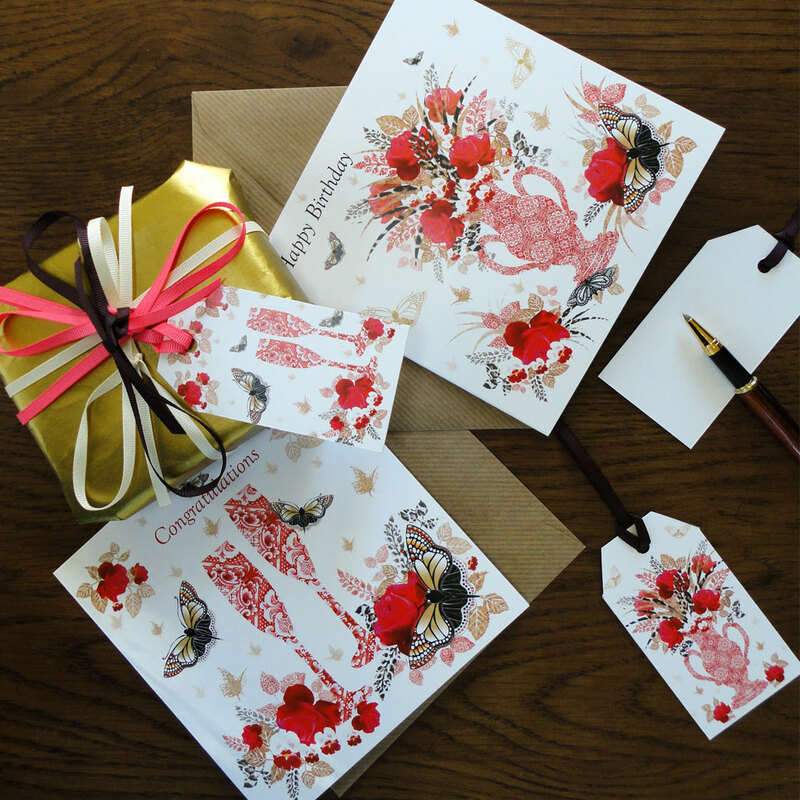 This set gives you the matching card and tag, using some of my favourite roses and butterflies! The Red Rose and Glasses Congratulations card features two red & white patterned champagne glasses ready to celebrate, stood surrounded by red roses, pansies and beautiful butterflies in flight. 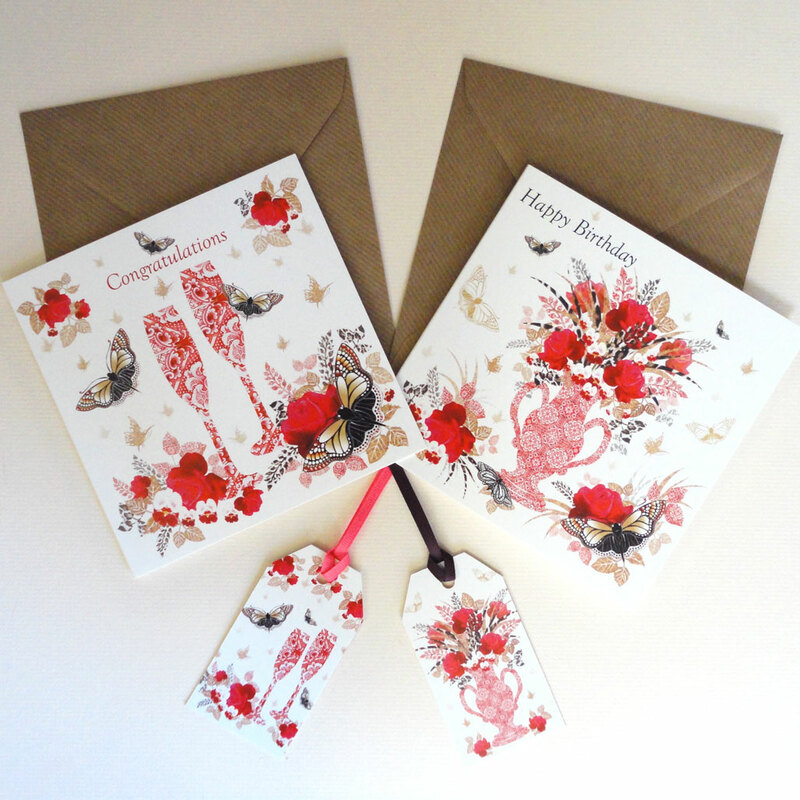 The gift tag is a coordinating design with a strawberry red ribbon. 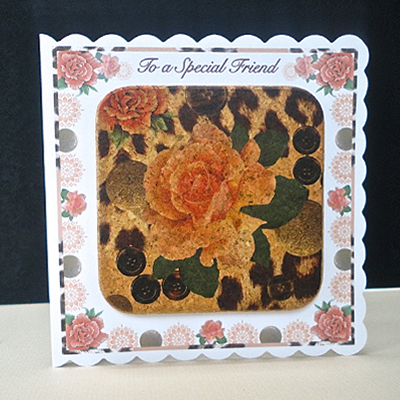 The Red Rose and Vase Happy Birthday card features beautifully detailed butterflies encircling a floral explosion of roses and pansies, intermixed with skin-print and cork textured leaves, all displayed in or around a central intricately patterned red and white vase. This pack contains two cards and two tags. Two Designs one of each. 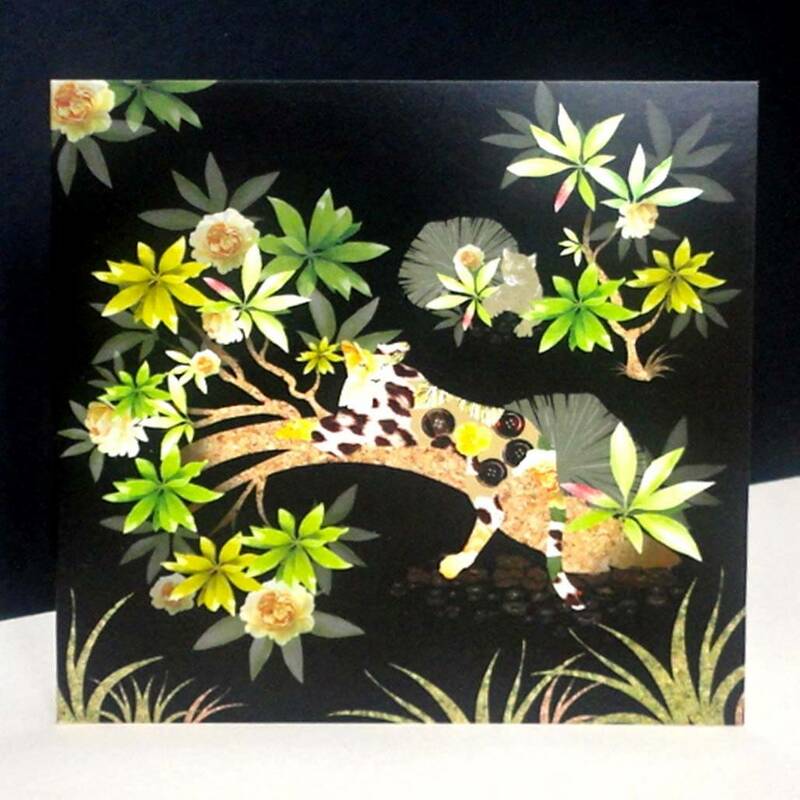 Size: Cards 150mm x 150mm. 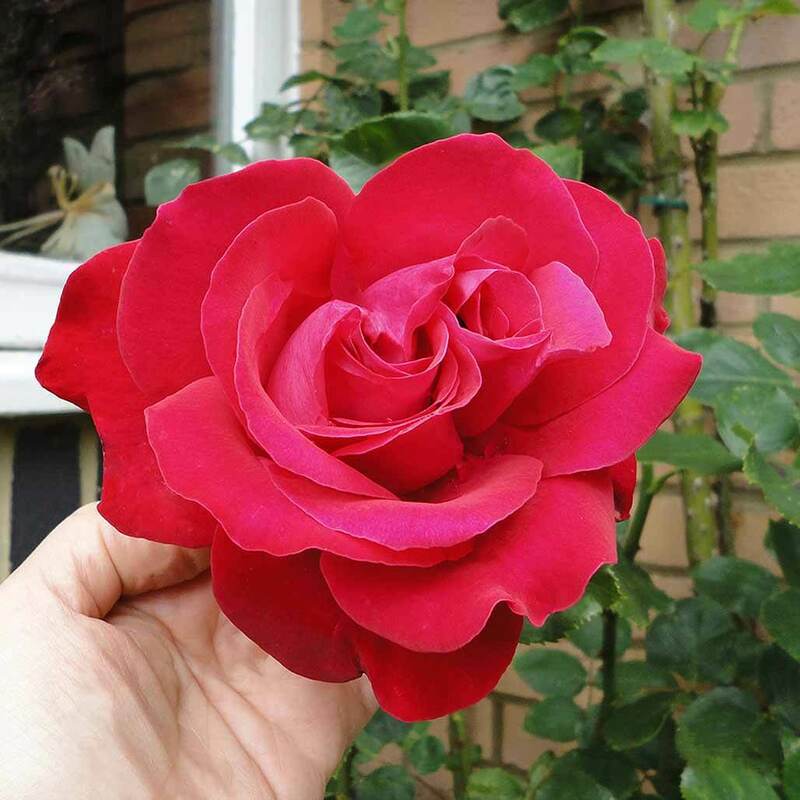 Supplied with a buff envelope. 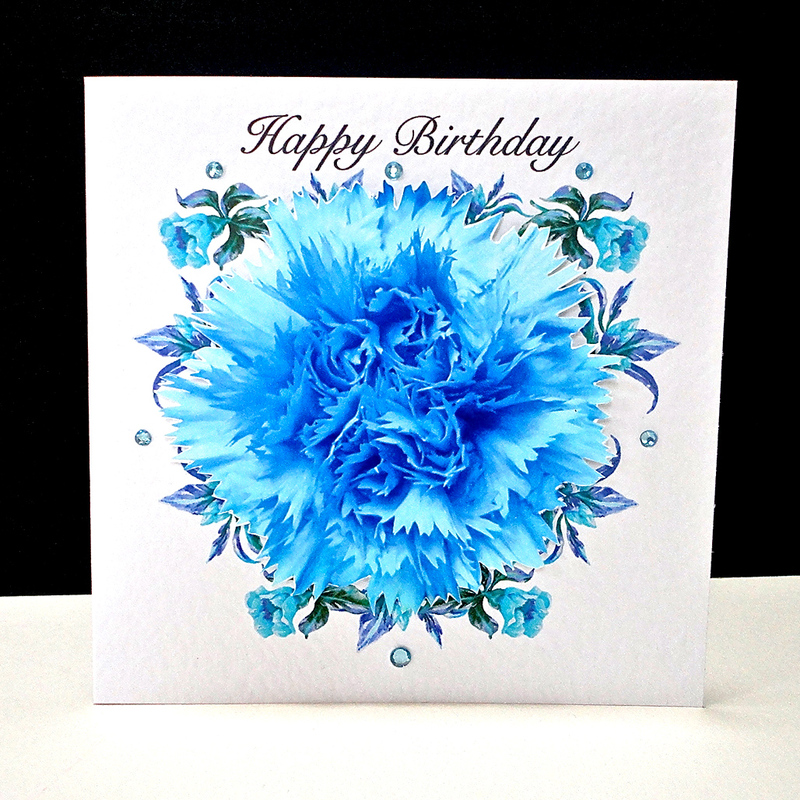 Printed on 290gsm greetings card material with a premium satin finish. Gift tags 55mm x 100mm with ribbons. 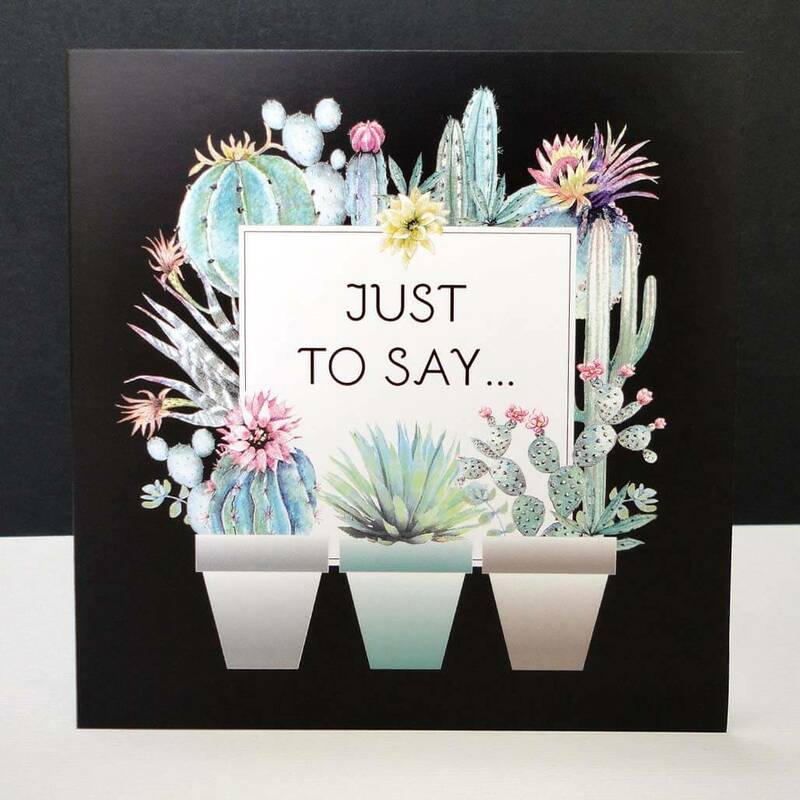 Just to Say… Cactus Card.